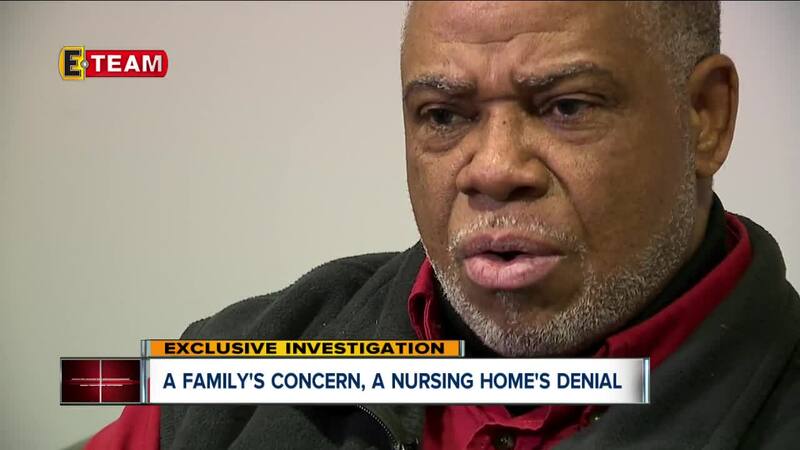 An elderly woman from Akron has died and now her family is asking questions about the quality of care she received from her nursing home. Questions started being asked after a blister on their mother's foot went untreated. "She was a good mom. She was there all the time with every one of us,” said Michael Hood, the son of Glennie Hood. This is a story about Glennie who made time not only for her kids but many children in the neighborhood. "She'd have the porch lined up with kids,” said Michael. “And I'm like what's going on here? She said they just came over. One of the little kids said, 'We came to see grandma.'" Glennie was full of youth but, over time, her children noticed dementia setting in. "We had to go find her on the bus...or wherever...bring her back and everything,” said Glennie’s daughter Yvonne Dragg. Michael remembers his mom wandering off. “She was standing down there on the road in the rain. I knew then it was getting a little out of hand." Michael found a nursing home for Glennie. Essex of Tallmadge was just minutes away. Michael got a tour from a staff member. “(The tour guide said) ‘She'll be safe here and she'll be watched over and she'll be taken care of here,’" Michael told us. That's what the family was promised. "(Glennie) went through a lot and it wasn't fair," said Marlene Davis who is Glennie's daughter. Davis was in tears. "She went down. She went down, down, down." Glennie's family told us the problem started small. "A nurse told me she had a blister,” said Michael. It was on her foot. Then, again over time, something more set in. "It started smelling real bad and we're like something's wrong here,” said Michael. "They kept telling us it's healing. It's healing. It's doing real good. It's healing,” said Dragg. “But they would never let us see it." The family said Glennie's foot was always wrapped in gauze and the stench could be smelled all the way down the hall. Then, one day in April of 2016, Michael said Glennie was really not feeling well. He told us the nursing home sent her to Akron General Hospital. Michael said he asked a nurse there to check his mom's foot. "She started unwrapping it and she says, 'Oh, my gosh! This is bad,’" said Michael. Michael told us they saw Glennie’s foot that was painful to look at and just painful for Glennie. Michael told us a doctor then examined it. "He said, 'It's too bad. It's too far gone.’ He says, ‘This has been here a long time,’" Michael added. 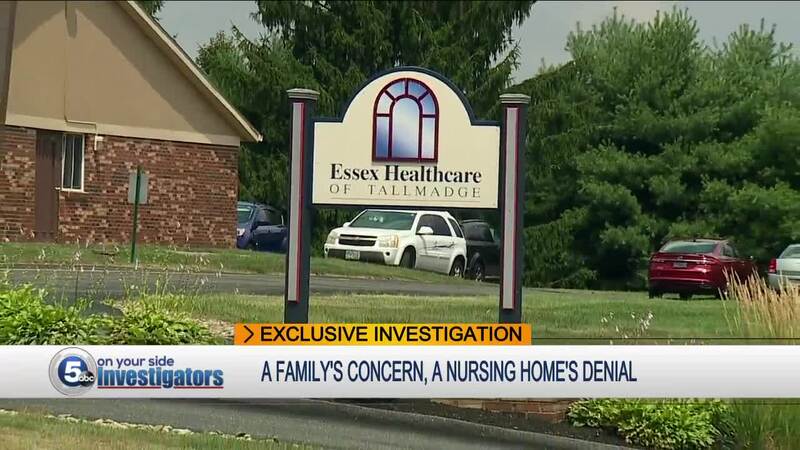 A lawsuit filed by Glennie's family against Essex and some of its caregivers claims the infection "ultimately took her life." “They let it turn black until the flesh is rotting off her foot," said Hood family attorney Allen Tittle. However, attorney Leslie Jenny, who represents Essex said, they don't agree. She told us they take the allegations seriously and it's early in the investigation. David Best, who works in Akron and represents one of the named defendants, told us the claim is preposterous and that there's no medical correlation from Glennie's foot to her death. Just last year, with no correlation to the Hood's claims, 5 On Your Side Investigators reported Essex was fined more than $58,000 by the state of Ohio from 2014-2016. The state reported one time Essex "failed to provide necessary care" for a person with "critically high blood glucose levels" who then died. This time around, there are new allegations from Glennie's family. "All they wanted and all they expected was their mother to have safe care and live with dignity," said Tittle. "I loved my mom,” said Dragg. “I think about her all the time." "We went through a lot watching her,” said Davis. "The grandkids and everybody else looked up to her,” Michael told us. “She was the pillar of our family. She was everything to us." Attorney Best told us Glennie's wound was checked by experts every day. Attorney Tittle said he hopes lawsuits like this will help stop the idea of profits over patients in nursing homes.